VICA started as a firm in 2004. 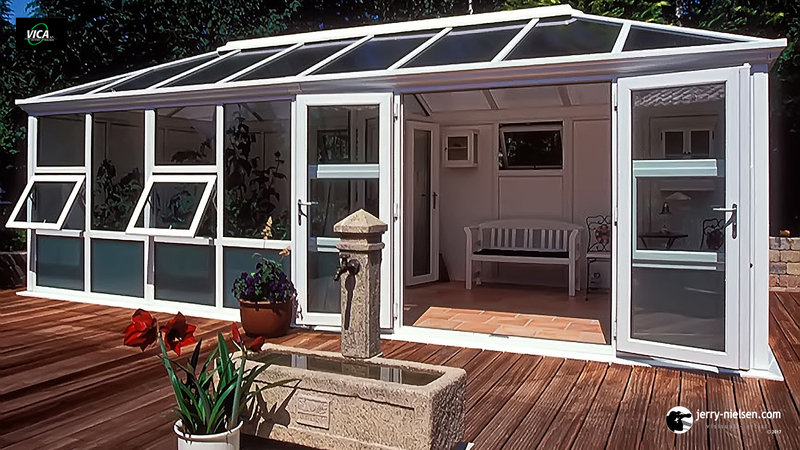 Today they are a company with over 40 dedicated employees, building quality pavilions, conservatories and out buildings. 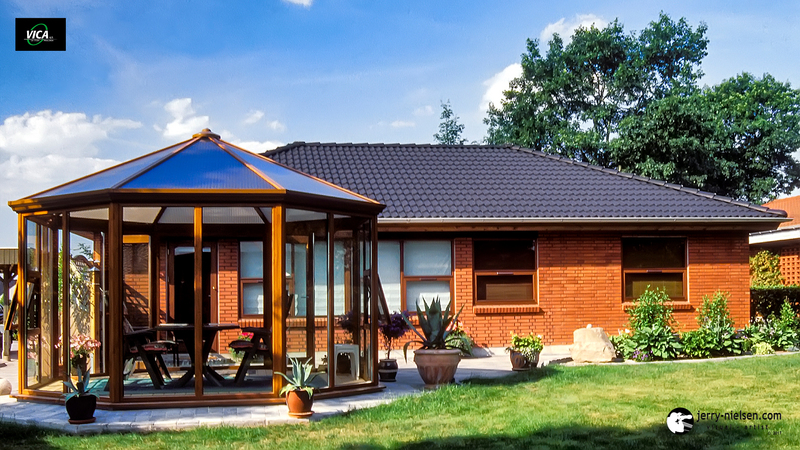 Their buildings are built with a high standard in design and craftsmanship. Which are built from materials in plastic, aluminium and steel which are developed for sustainable purposes, and are almost 100 percent recyclable. In fact, the plastic components have almost four times the lifespan of similar parts in wood. Their factory which produces the building systems for the garden. Has satisfied thousands of customers throughout Scandinavia, Germany and England, has been operating for over 35 years. 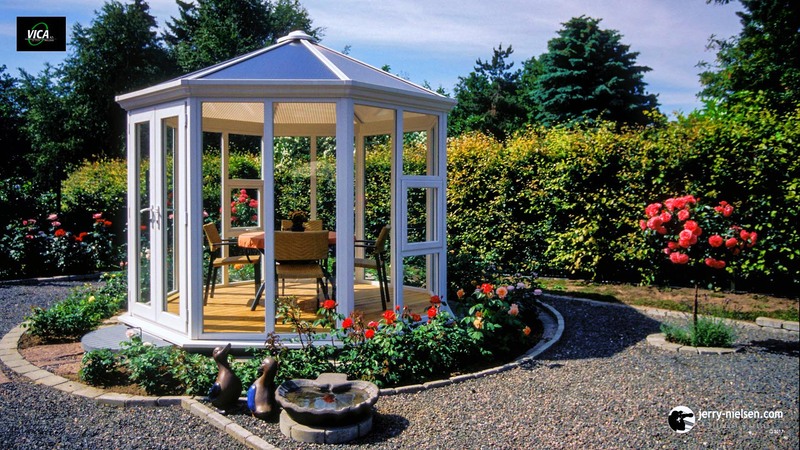 With Vica Pavilions, they give the garden something extra. Where one can sit amid the garden, and among the beautiful colours. Watch the seasons change or listen to melodious sounds of the rain falling. Being shielded from the elements of the weather one can enjoy reading a first-rate book, or a good glass of wine. 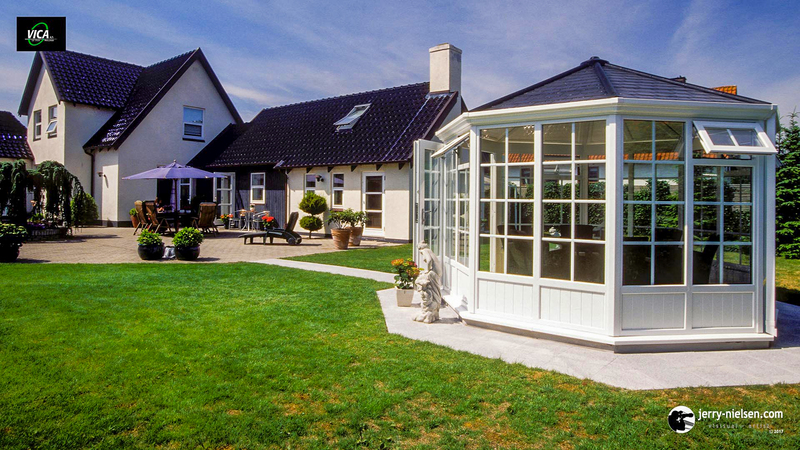 It can be used as a meeting place for the family, or even used for those garden parties. 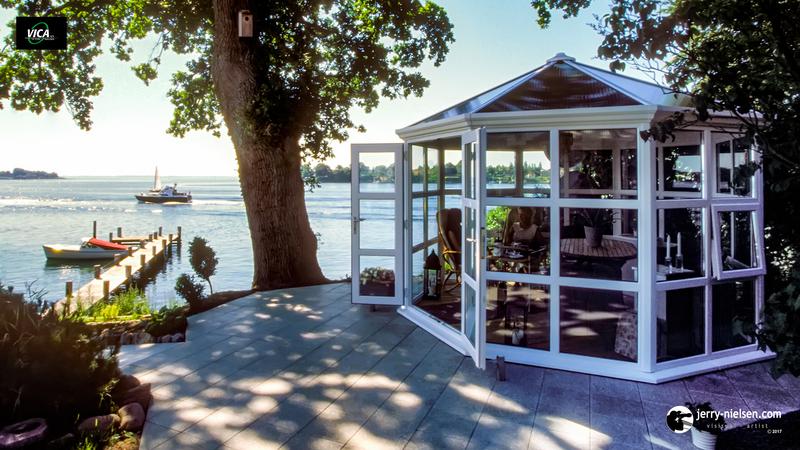 There are endless possibilities with a pavilion. 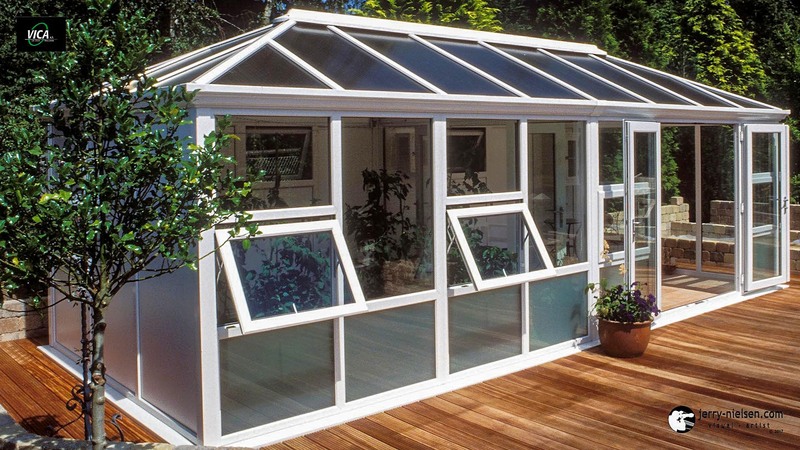 Are not just a room with a glass roof and walls. That are attached to a house at one side and used as a sun lounge or for growing delicate plants. They are much more, than an extra living space or extension. Thought they can be a perfect solution to expand the house. As well as being an investment that can increase the value of one´s house. 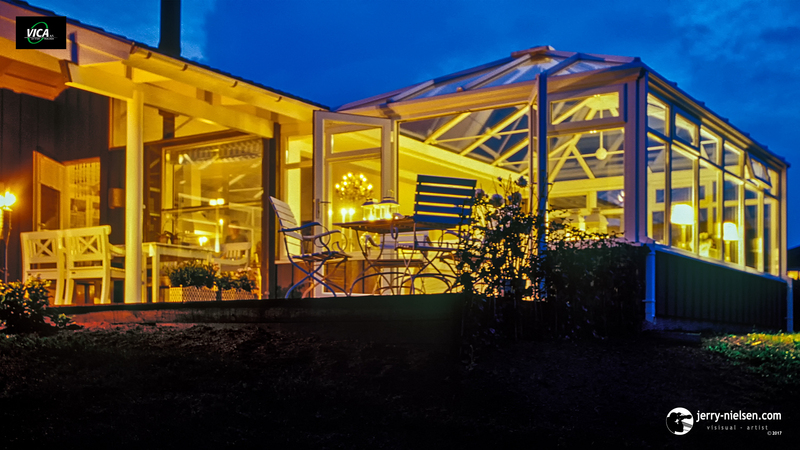 Conservatories can open the house, bringing one closer to light and nature. Enjoying the warmth of the sun´s rays while taking in the sights of the garden. Even during the darker months, they are helpful, to draw in extra light and even heat into one´s home. 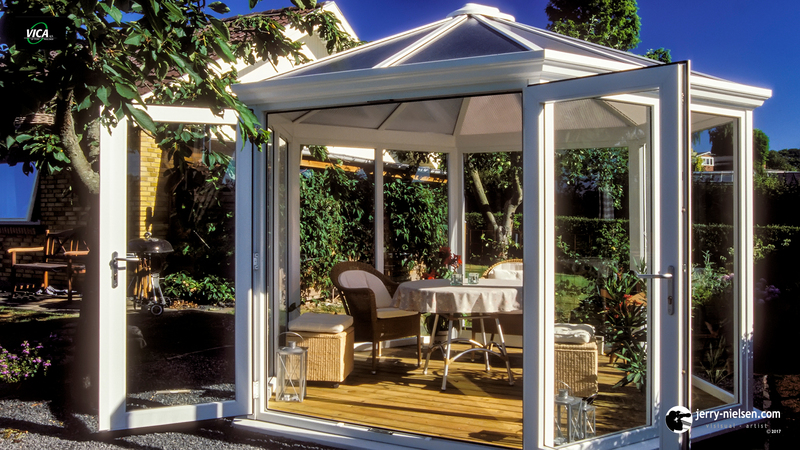 VICA take great pride in building their pavilions, conservatories and orangeries.